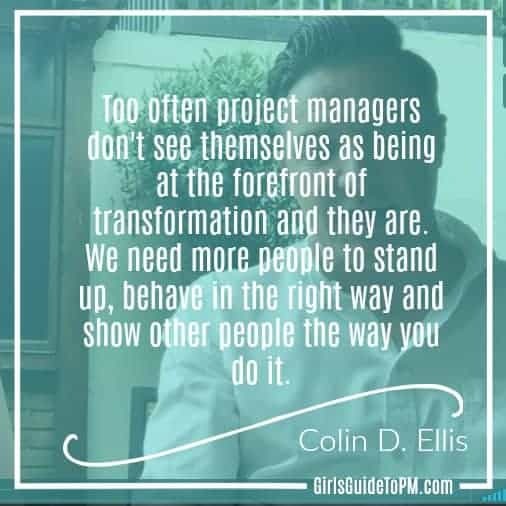 In this interview I talk to Colin D. Ellis, author of The Project Rots from the Head, about the changing face of project management leadership. The video is about 4 minutes long, safe for work, but if you’d rather read the transcript is below. 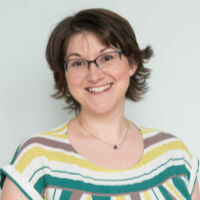 Elizabeth: Hello everybody, it’s Elizabeth here and today I am in London with Colin Ellis, project manager extraordinaire from Australia, who is not Australian. Colin: Not that that’s a bad thing, I just want to make that clear to all Australian’s watching this. I love living in Australia, it’s amazing. Colin: Yeah, to speak and train and do a bunch of things and spread the project management message. Elizabeth: Yeah. So one of the things that we were talking about before I switched the camera on, was this changing nature of project management, and the current culture changes that we’re seeing being connected to so many project managers that you are on that side of the world, that you’re seeing quite a big shift in focus on leadership. Colin: Yep. Yeah definitely, and I think it’s been really evident over the last six, nine months and we’re seeing it a lot in reports and surveys that are coming out, is there’s much more of an emphasis now on people, which there always should’ve been the emphasis on people, of course there should. We got bogged down a little bit there with having to be prescriptive to a method and it’s not that it’s not important but it still relies on a really good person to lead a team of people. Colin: Certainly, in the speeches that I do and the training that I do, there’s much more of a focus on “How do I be the best version of myself in this kind of environment?”, which obviously a method doesn’t give you the answer to. Elizabeth: You can’t do anything about it, so it has to be about passing things on. Elizabeth: Then actually do it. Elizabeth: Because it’s fine to have all the feedback and the lessons, but if you just put them in a drawer, all they become is lessons captured or useful information somebody told me one day. Elizabeth: Not actually something you tend to be doing, it’s about changing behaviour. Elizabeth: In a good way. Colin: In a good way, yeah and about recognising, well what’s expected of me here? I talked to somebody not so long ago and they said, “No one follows my process.” I’m like, “Well, if that’s the way you sell it, I wouldn’t follow it either.” I was like, “What’s in it for them, what’s the value, is it a way for them to capture information are you supporting the business of good delivery, actually what are you doing to demonstrate the kind of behaviours that you expect of other people?” I think too often project managers don’t see themselves as being at the forefront of transformation and you are, project managers, you are. We need more people to stand up, behave in the right way and show other people, this is the way that you do it, here’s some changes that I’ve made and this is how we led a team of people to do this thing. I think behaviour is so important, it’s so important. Simply ramming a method down someone’s throat, wouldn’t work, wouldn’t work. Elizabeth: No. Okay well, thank you very much. Elizabeth: It’s been great talking to you today. Elizabeth: I will see you in the next video.